2020 Ford Escape compact SUV unveiled - India bound? The third generation of the Ford Escape compact SUV has been unveiled for the international markets. To put things in perspective, the Ford Escape is equivalent to the Jeep Compass in India. However, there isn't an official word yet, but looking at the American manufacturer's plans to mainly focus on SUVs and crossovers in other continents, we can expect the 2020 Ford Escape SUV to be offered in our market, but of course with major Indianisation. In its third iteration, the Ford Escape is based on the C2 platform which also underpins the Ford Focus hatchback range. The styling of the Escape resembles its siblings in India. A wide trapezoidal honeycomb grille designed similar to the one seen on the Ford hatchback here.The headlamp assembly houses a twin projector setup with sharp LED DRLs. The stance of the Escape is high, however, its compact design language gives it a more crossover-like appearance. The rear has wrap-around tail lamps and the Escape gets twin exhaust tips. 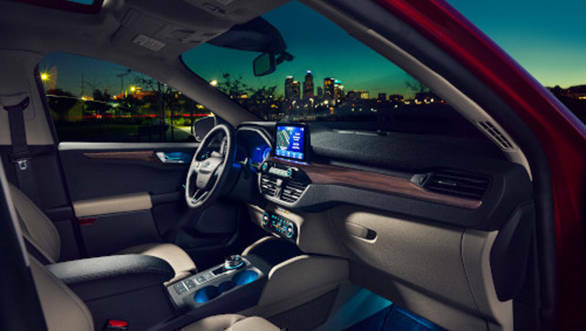 The interior has wood inserts in the dashboard houses an eight-inch touch screen infotainment system. The system also has WiFi which can tether 10 devices at a time. 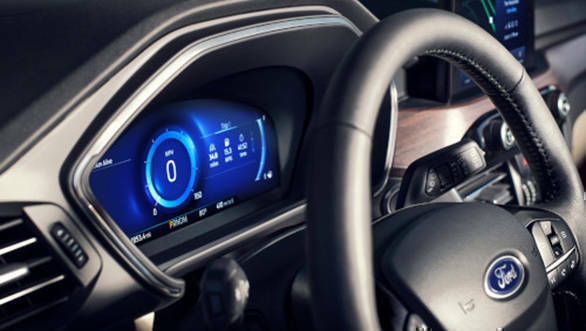 The instrument cluster is a 12.3-inch digital screen which also uses 3D graphics to indicate drive modes. 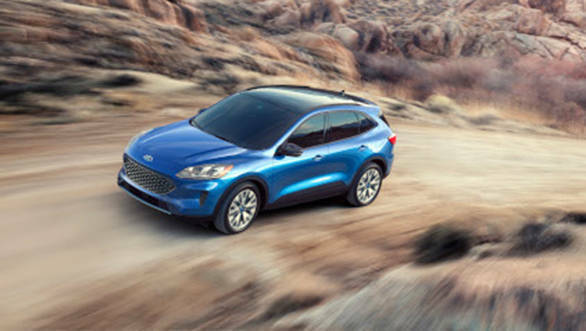 The Escape gets four engine options - 1.5-litre EcoBoost, 2.0-litre EcoBoost, 2.5-litre full hybrid and a 2.5-litre plug-in hybrid. The one that seems very India centric is the 1.5-litre three-cylinder engine that produces 180PS and 240Nm of torque. The engine comes mated to an eight-speed automatic transmission. Ford could launch the Escape in the Indian market to fill the space between the Ecosport and the Endeavour. In the India market, the Ford Escape will be placed alongside the Jeep Compass, Hyundai Tuscon and the Honda CR-V.